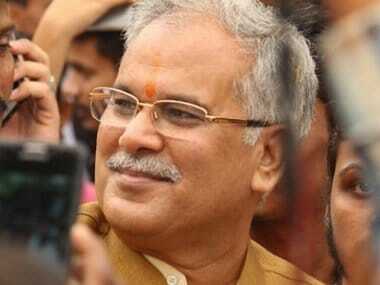 Raipur: New Chhattisgarh chief minister Bhupesh Baghel on Sunday said the gun was no answer to tackling the Naxal menace and favoured talks with violence-affected people and other stakeholders, even as he ruled out withdrawal of security forces from the Maoist-hit areas of the state. Baghel said his government will devise a new strategy that will involve talks with people affected by Naxal activities, including tribals, and others to resolve the three-decade-old Maoist problem that has claimed several lives. He said the state government was committed to fulfilling all pre-poll promises made by his party, including farm loan waiver and liquor ban. The Congress leader took charge as chief minister a week ago after his party posted a landslide victory in the just held Assembly polls in the tribal-dominated state. "The Naxal issue cannot be tackled with the barrel of gun. The use of guns by previous (BJP) government to solve the Naxal problem has resulted in its expansion from just three development blocks to 15 districts of the state in the last 15 years," Baghel told PTI in an interview. "After Jammu and Kashmir, Chhattisgarh's Bastar division (which has a heavy Naxal presence) accounts for the maximum deployment of paramilitary forces... Despite that, the problem still exists, which clearly indicates that social-economic-political way is another route to solve the issue," he said. 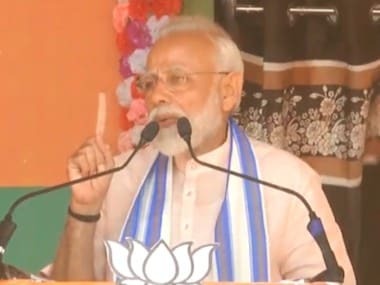 "The most important thing is first we should talk to the affected people, specially tribals, and at the same time hold discussions with other parties like non-tribals, traders, police, paramilitary forces, social groups, journalists and intellectuals to reach to a concrete solution," he added. Baghel (57), however, ruled out any possibility of withdrawing paramilitary forces, deployed in large numbers, from the Naxal-hit districts till the new strategy is formulated. "There is no question of withdrawing security forces (from Naxal-affected areas). Whatever system is going on, will be continued till further strategy is devised. The immediate withdrawal of forces can prove to be a suicidal (step)," he added. According to police officials, over 70,000 security personnel, including state forces and paramilitaries like the CRPF, BSF, ITBP and SSB, were involved in counter-insurgency operations in seven districts of Naxal-affected Bastar division in the southern part of the state. Asked about the burden on exchequer for implementing pre-poll promises, particularly loan waiver and higher minimum support price for paddy, Baghel said the promises made in the manifesto will be fulfilled step by step. He said, "The manifesto is for five years and all the promises cannot be fulfilled in a day. We are committed to fulfilling all the promises, including loan waiver, liquor ban, regularisation of contractual employee and cutting of electricity bills by half with the available resources." Baghel, who as Chhattisgarh Congress president led his party to a grand victory, with the Congress winning 68 of the 90 assembly seats, is now eyeing to get all the 11 Lok Sabha seats of the state to the party's kitty in next year's general elections. "We received massive support from all the sections, be it tribals, other backward classes or traders, in our voyage towards a massive win. Now we have a target to win all the 11 Lok Sabha seats in next year's general polls and we are confident of achieving it," he added. Asked about the need for a Special Investigation Team (SIT) to probe the 2013 Jhiram Valley Naxal attack in which some Congress leaders lost their lives, Baghel termed the strike as a "supari killing" (contract killing) and maintained its conspirators should be exposed and punished under the law. 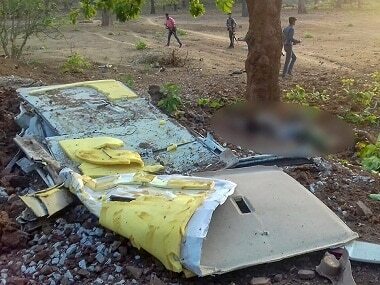 "The questions related to the deadly Naxal attack on Congress `parivartan' rally on 25 May, 2013, still remains unanswered. "When Congress leaders had been provided security on 23 and 24 May during their campaign, why was protection withdrawn on 25 May? Who had ordered for withdrawal and who was responsible for it?," he asked. 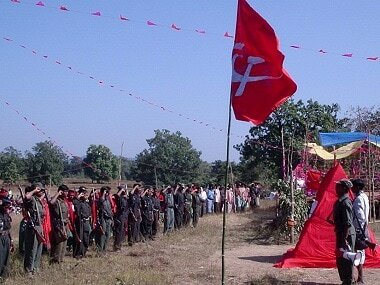 "Before killing our senior leaders, Naxals had asked for them by their names which they generally never do. "Their intention was to kill some specific leaders which indicated there was a conspiracy. It was a `supari killing'," Baghel said. Only an SIT probe will bring out the truth and help in punishing the conspirators, the chief minister added.